Thank you for coming to the MA & PA Heritage Trail webpage! Please consider supporting our trail by volunteering or becoming a member. More information can be found on our Membership webpage. The MA & PA Heritage Trail is located on portions of the former Maryland & Pennsylvania Railroad corridor in Bel Air and Forest Hill, Maryland. 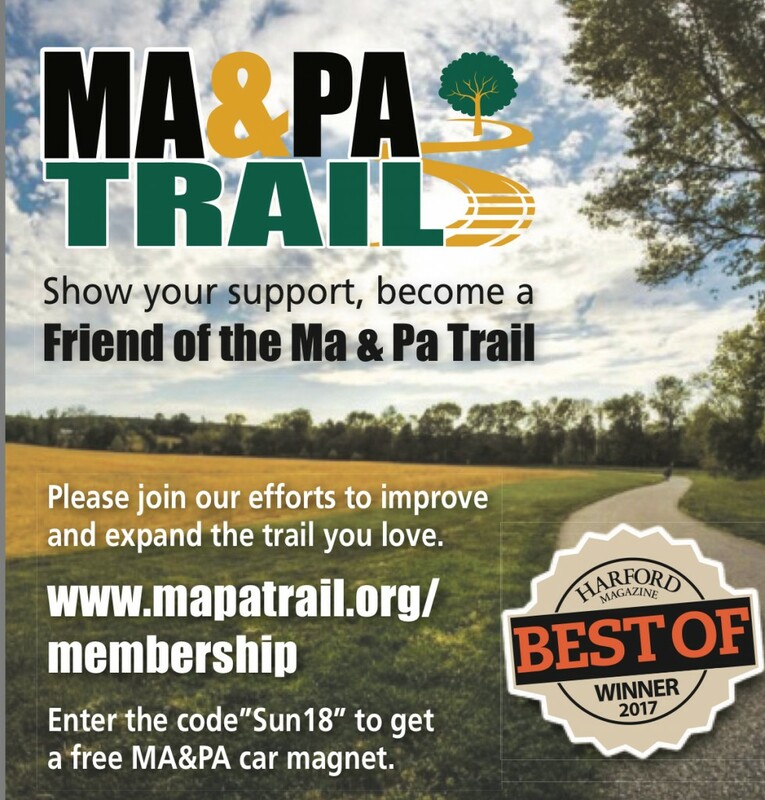 Our nonprofit organization, The MA & PA Heritage Trail, Inc, strives to make the MA & PA Trail the best place to walk, run and bike in Harford County! 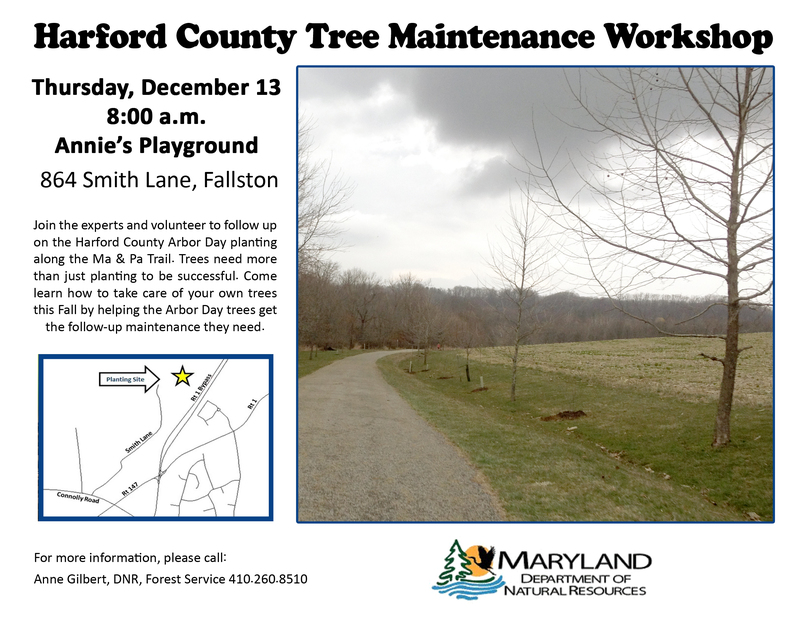 Currently, the trail consists of a 3.3-mile section in Bel Air and a 1.7-mile segment in Forest Hill. 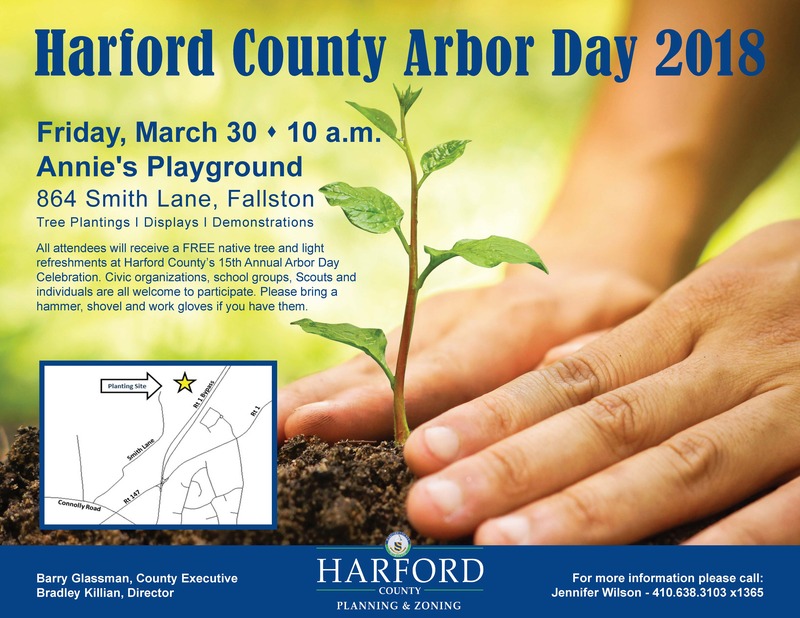 Recently, in partnership with the Town of Bel Air, Harford County has acquired an easement for a small stretch of land that will finally allow for the connection of its Bel Air and Forest Hill sections. The eventual connection will result in an 8-mile long trail that runs through the heart of Bel Air. News articles regarding the Trail Connection can be found on our new “In the News” webpage. Watch a short video about the connection by following this link. For more trail-related photos, news and events, please like us on Facebook and follow us on Twitter. Check out our new MA&PA T-Shirts available on our Trail Merchandise Page.